Life Insurance Is Worth It! The concept of life insurance was formally established in the 18th century. Insurance is a way of spreading risk among a large group of people to minimize the cost to each individual. Think of it this way: the financial impact of a breadwinner or caregiver dying prematurely is devastating to a family, and is something we all want to protect against.Balance that with the low likelihood of it happening in any given year. Now bring together a huge group of people, each paying a small amount of money each year so there is more than enough in the money pot to help pay out a benefit for any one member of the group who unfortunately dies. In Canada, the major life insurance companies have been in operation since about 1870, selling insurance policies and paying claims. 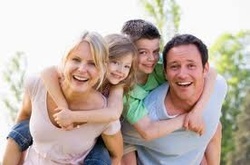 Life insurance protects your family from financial hardship. It can protect your business from loss of key people instrumental to the future of the business. Life insurance can create a legacy for the next generation, or your life insurance contract can be used to give a charitable donation when you are gone. How would you figure out how much life insurance is enough for you? Pulling numbers out of the air that sound good is NOT the best way to establish your insurance needs. One basic rule of thumb is to have seven to ten times your gross income as insurance protection. To be more accurate, we suggest doing a proper life insurance needs analysis, to pin-point the amount of capital your survivors would need if you die. A life insurance needs analysislooks at the assets you have, the liabilities that must be paid off, and replacing lost income for the family’s future. If you are married or in a dependant partnership, how much money do you contribute or what is the value of your care-giving? Would the family be able to get by financially if you were no longer there to contribute? What would the future of dependent children be without your financial support? Does anyone else depend on you financially, like parents, brother or sister, business partner? If you are a single parent, what are the levels of your support payments? Would these be kept up if the contributor died? Do you have a mortgage or other major debts? Would you want those paid off for your survivors? If you have children, would you want to set aside money for their future education needs? If you own a business or farm, could insurance play a role in your succession plans? If you are looking at large capital gains taxes for your estate, could life insurance be a solution to pay these taxes? What Are The Main Types Of Life Insurance? This is a basic risk management life insurance policy designed to cost effectively provide protection for a certain number of years, to protect things like mortgage payments of children while they are being raised. Term life insurance policies are typically sold in 10, 20 or even 30 year terms, where the premium is locked in for those years. There are Term to 100 policies, which some people consider to be permanent insurance. It offers one level premium for the rest of your life, with no cash values attached. Permanent life insurance is designed to provide insurance protection for your entire lifetime, as long as you keep the policy in force. Permanent Life insurance not only has lifetime protection, but also has cash values inside the policy, making them an investment asset. There are a few major types of permanent life insurance. Arguable the most flexible life insurance policy in Canada, and one of the most popular. Universal life insurance consists of two parts, the basic life insurance and an investment account under one umbrella. It is flexible and powerful, but requires consistent management. Whole life insurance is a traditional policy that fully guarantees premiums you pay, the death benefit and the cash values inside the policy. It is simple and strong.